Creating a process improvement culture that breaks down silos. 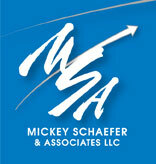 Mickey Schaefer & Associates can help your organization incorporate the Balanced Scorecard into your organization to help you achieve your Vision and Mission. Only through strategic alignment will your association develop the high performance mindset and actions which are necessary to keep pace in today’s fast-moving environment. Contact MSA today to learn more about this exciting way to stay strategic in everything you do…to become a Strategy-Focused Organization.